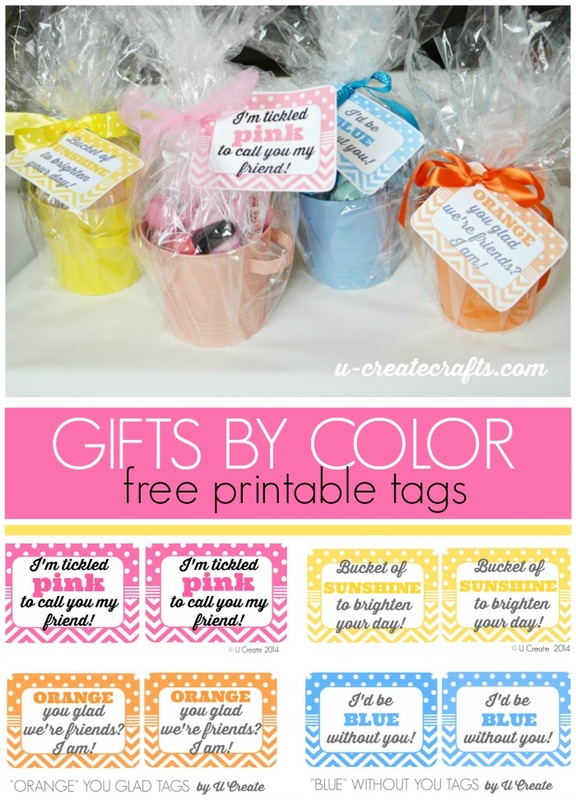 One of my favorite things to do for a simple gift idea is to pick one color and create a gift around it. 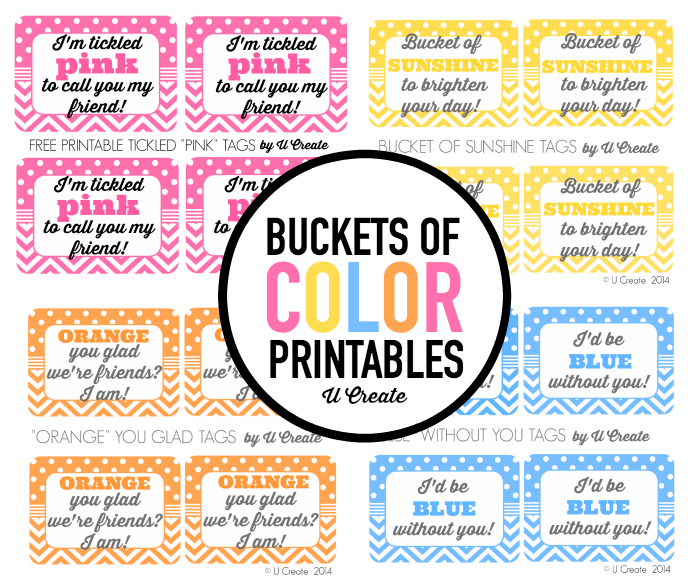 The possibilities are endless and today I thought I’d share 4 colors including free printable gift tags. 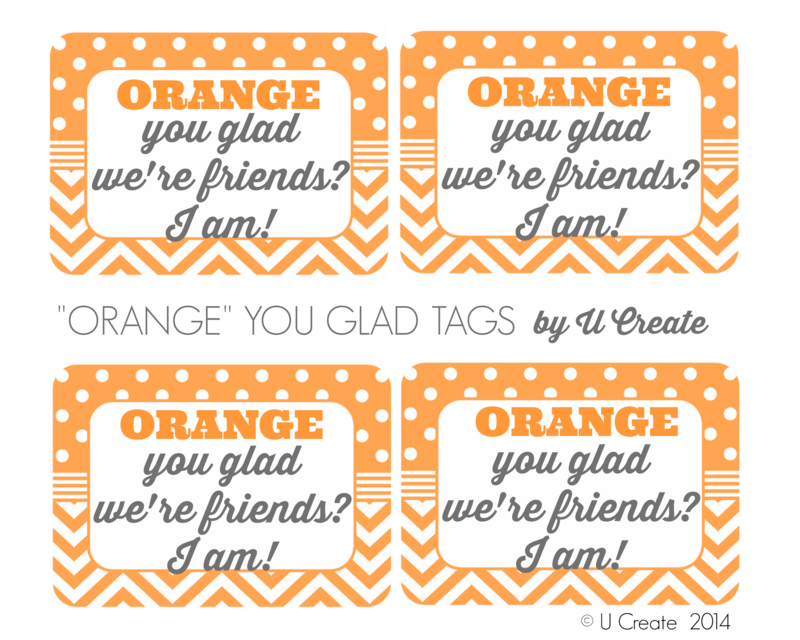 Don’t miss our newest show below “Craft it Forward with U Create”! 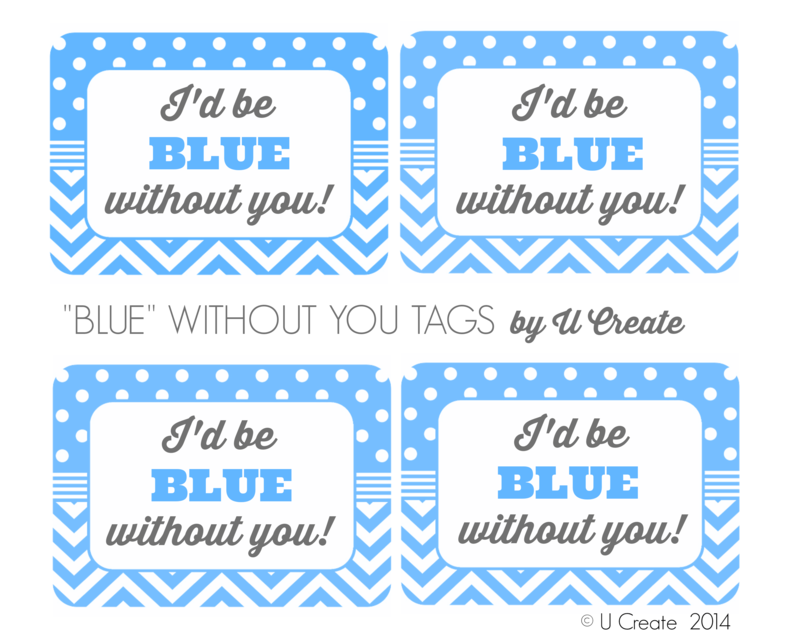 Previous Post: Valentine’s Day Printable: You A”Maze” Me! Sure! 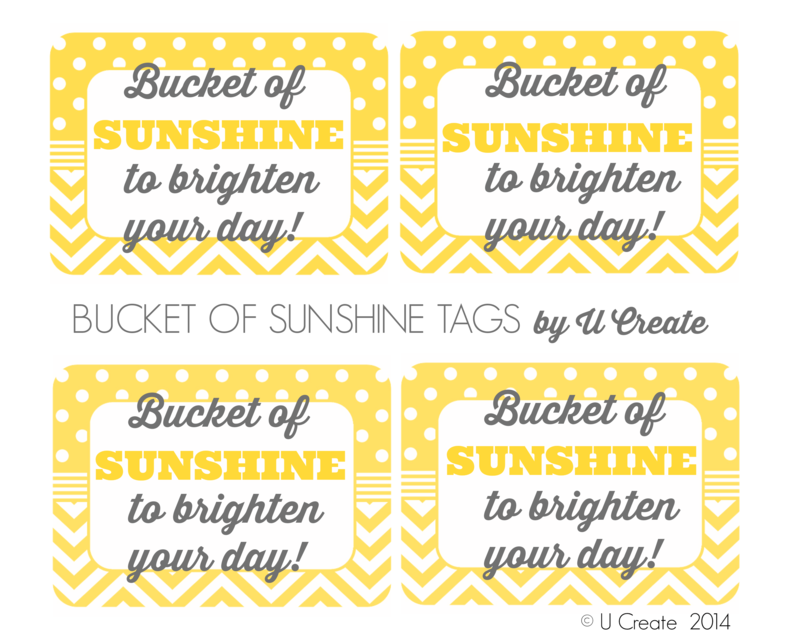 The buckets were purchased at the dollar store and target (in their dollar spot). 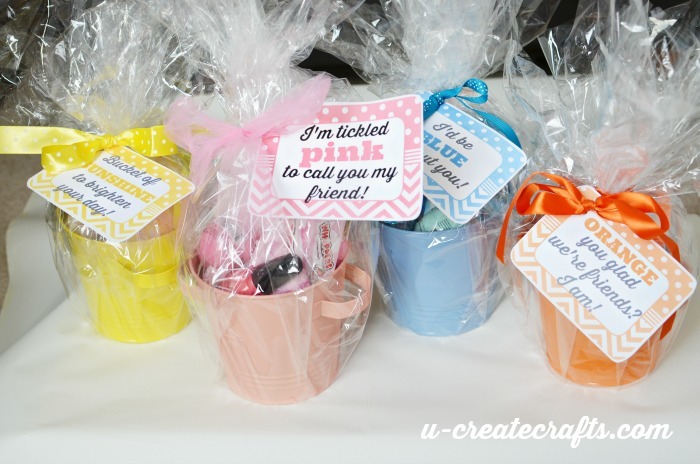 If you can’t find colored buckets I also like to use colored gift bags! The cellophane can be found in the party aisles at big stores near gift wrapping!